Tarot with Ashley: Lions and Tigers and Baskets, Oh My! 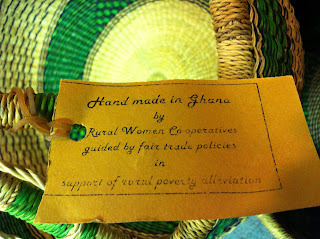 When I walked into "Winds of Change" the other morning to do my Tarot readings I was immediately transported to Africa, by the overflowing sweet smell of dried grass that filtered through the store. 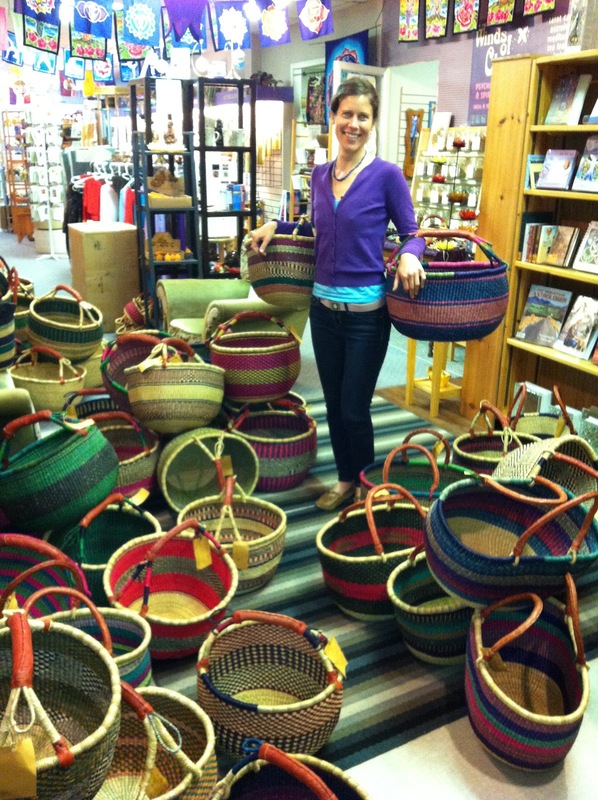 In preparation for Vancouver Island Music Fest in the Valley next weekend, the store received a shipment of exquisite hand-made baskets. 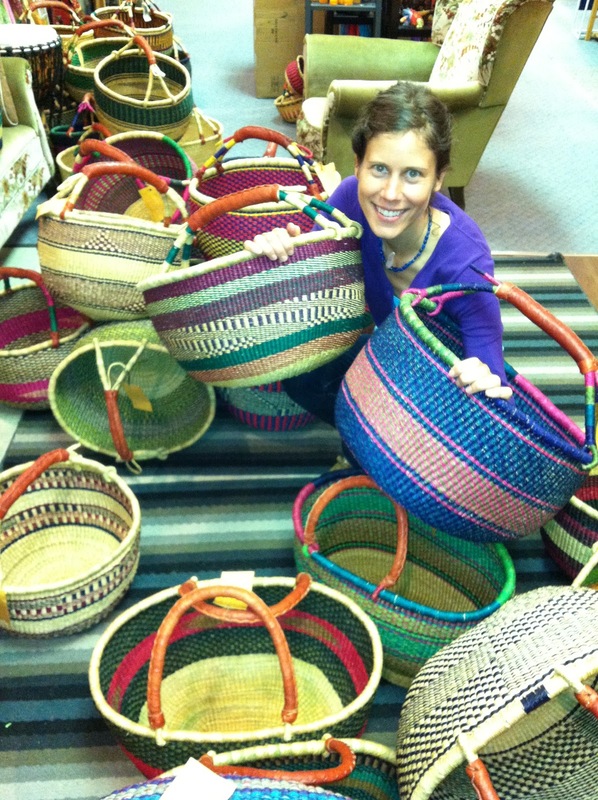 Amanda, the owner, is an advocate of personal empowerment and actively seeks out ways to take action. 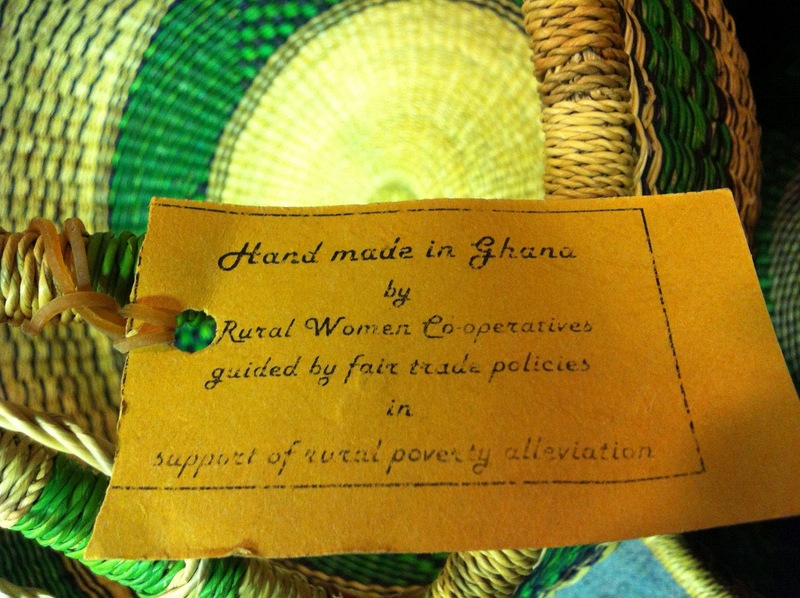 Here is one piece of evidence: purchasing an extensive collection of baskets made in Ghana by a rural women's cooperative - guided by fair trade policies in support of rural poverty alleviation. What's more is that these goods, woven with twisted elephant grass and finished with a leather handle, are virtually indestructible, comfortable to carry, and simply beautiful. 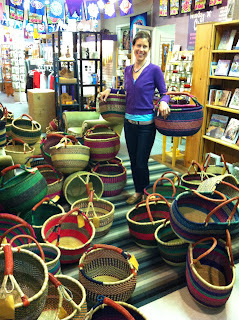 With all the baskets scattered about, I felt like the store was infused with vibrant energy! This, coupled with a mini chakra energy session by Rita, brightened my day. Yes, it is the little things!